I’m a huge fan of anything one-pot or one-bowl, especially if it involves chocolate. The point of this recipe is to have an easy, go-to recipe for chocolate muffins up your sleeve. Add bonus points for cutting down on the endless dishes. This simple recipe is one of my favorites because of the minimal mess and the irresistible taste of a torte-turned-to muffin. 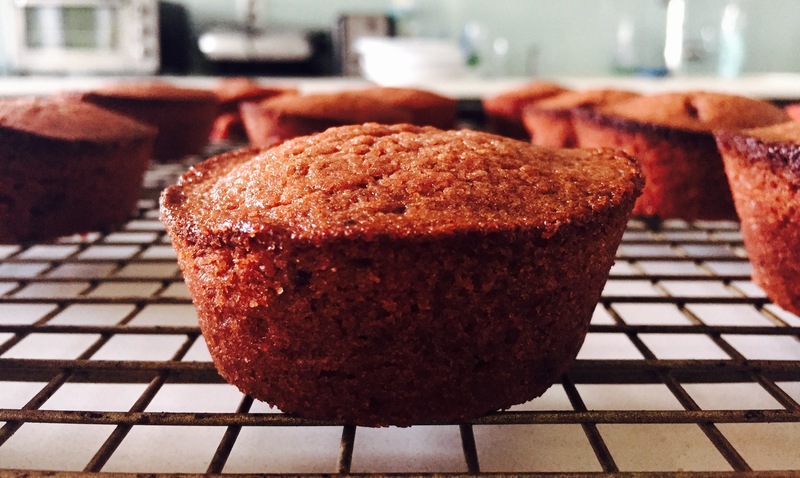 The (almost) flourless muffin is dense and fudgy, not light or birthday cakey, and the jam lends great flavor and texture. Whip these up the next time you crave chocolate and need to be spontaneous. 3. In a medium bowl (large enough to hold all of the batter), melt the butter in the microwave in short pulses. 5. Add the jam and sugar and stir vigorously. 6. Add the eggs and stir very well. 7. Add flour, baking powder and salt over the batter and stir just until well-combined. 8. Pour batter into the pan and bake 18 to 21 minutes, until a toothpick inserted comes out with only moist crumbs clinging to it. 9. 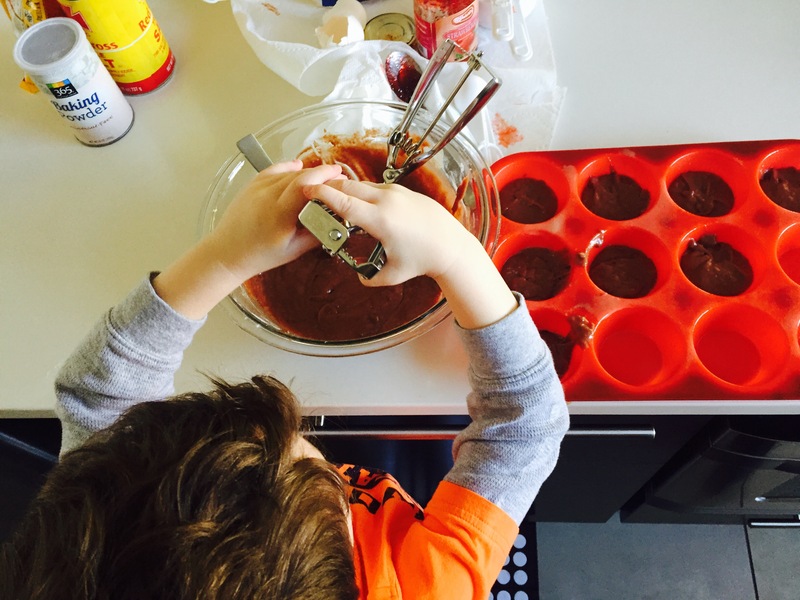 Allow muffins to cool completely in pan before transferring them to a wire cooling rack.